We think it's safe to say that Kendall Jenner was far from the most popular person at the 75th Annual Golden Globes, becoming the most recent target of the internet's wrath for pretty ridiculous reasons. Not only has she been getting absolutely dragged for attending the politically charged awards in the first place ("Why is Kendall Jenner at the Golden Globes—did she get nominated for her Pepsi ad?" tweeted one user), but the questionable people of the internet have also been dissecting her appearance, both because of her acne (which, like, back the hell off, people—acne is uncontrollable), and also because of the fact that Kendall's face apparently looked different when she stepped out onto the red carpet. 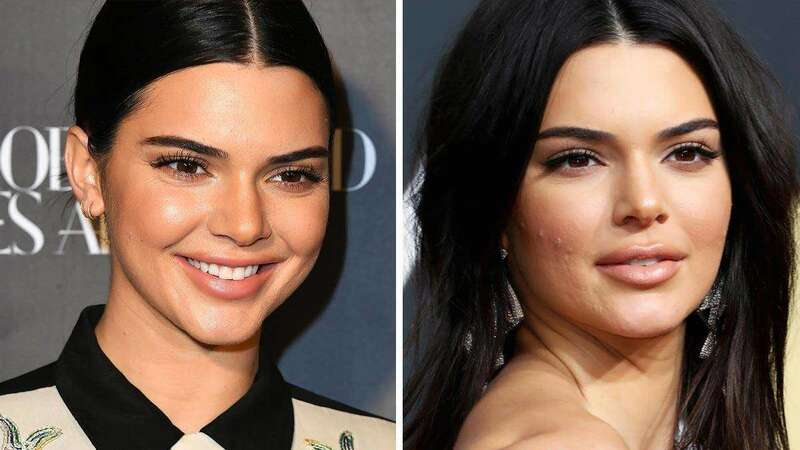 Yes, the Twitterverse is claiming that Kendall's lips looked a bit more plump than usual—almost on par with her sister Kylie's—and are now debating with one another whether or not the look is the result of heavy makeup or, in fact, lip injections. "Was it just tons of lip liner…or did she get them done?" tweeted one user, while others took the opportunity to tell a woman how she should look, tweeting, "Kendall Jenner was a 10/10 before she got her lips done," along with "New year, new lips? So sad." Of course, we feel the need to remind the world that passing judgement on someone else's appearance automatically makes you kind of a jerk, and Kendall Jenner's possible lip injections are exactly nobody's business but her own. But still, if you feel the need to insert yourself into the conversation on Twitter, promise us you'll at least choose the nice side.